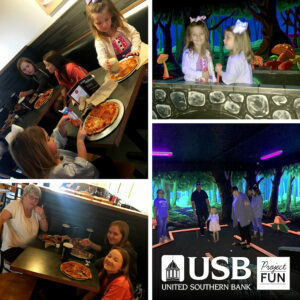 Recently, several of our employees and their families/guests enjoyed a Saturday afternoon of mini glow golf and laser maze at D&D Black light mini golf. Afterwards they all had a wonderful lunch at Pie 5 in Clarksville, TN. Stay tuned to see what our employees get to do next!